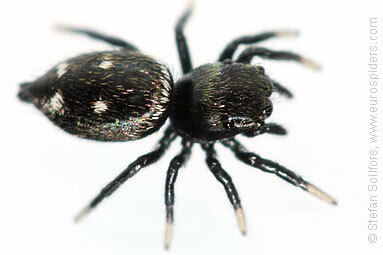 Young female Heliophanus kochi, side view. 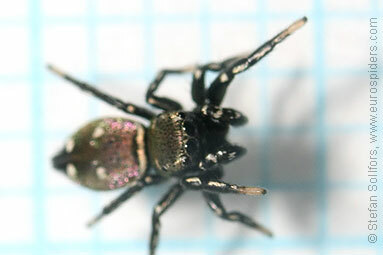 Male Heliophanus kochi from below. 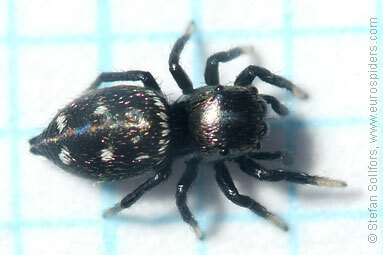 Young female Heliophanus kochi, about 2,5 mm. 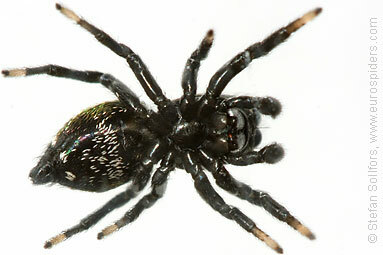 Male Heliophanus kochi, about 3 mm. 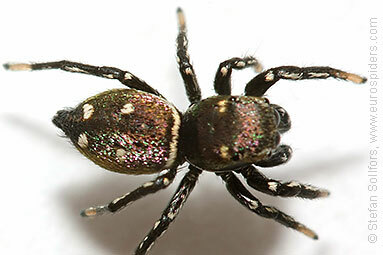 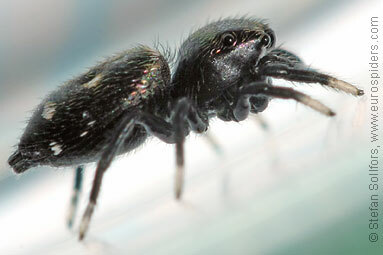 The jumping spider Heliophanus kochi. 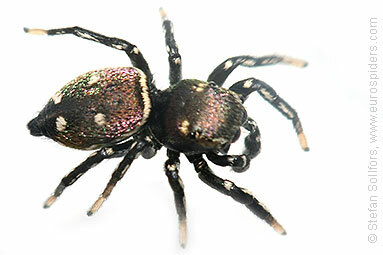 Notice the white dots.